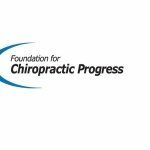 August 2, 2011 — Mindy Mar, DC, of the San Diego Center for Health has raised the bar for women in the chiropractic profession. In 2007 Mar became the first female Doctor of Chiropractic to be contracted within the National Football League (NFL) via the San Diego Chargers and is now entering her fifth season as team doctor of the San Diego Charger Girls, formed in 1990 and now one of the premiere dance teams in the NFL. Mar has been responsible for evaluating and managing fractures, dislocations, sprains/strains, heat exhaustion, lateral epicondylosis, plantar fasciitis, spondylolysis, meralgia paresthetica, rotator cuff injuries and various repetitive stress injuries. In her role as the game-day treating doctor, Mar provides on-site coverage for the squad’s 28 members, including chiropractic, taping, physiotherapy modalities, soft tissue therapies, exercise rehabilitation, first aid, physical, orthopedic and neurological exams and emergency procedure protocols as necessary. As the physical demands and level of injuries sustained by professional NFL cheerleaders heighten, Mar has broadened her skills and expertise in the diagnosis of sports injuries and rehabilitation requirements. Mar values more than anything the importance of continuing education and specialized training in her field and considers it vital for all chiropractors involved in sports medicine to be trained specifically in the diagnosis and management of sports injury and emergency procedures. 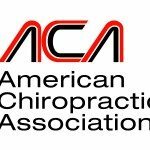 She is a member of the American Chiropractic Board of Sports Physicians (ACBSP) and has completed her diplomate with the ACBSP, the highest level of education and certification a chiropractic sports physician/practitioner can achieve.